Thank you for your interest in the Adult Dental Service Program (ADSP)! Members of the West Michigan District Dental Society and West Michigan Dental Foundation created the Adult Dental Services Program (ADSP) in the 1980’s. More recently, improved federal access to care has reduced applicant demand and the program lived in relative hibernation. After reevaluation of all aspects of the program, ADSP will provide access to volunteer dentists for those with limited income that are just above the eligibility thresholds for government assistance. 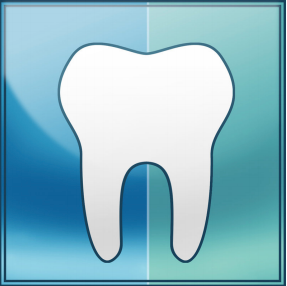 Eligibility requirements have also been broadened from historical norms, including extension to the five counties within the West Michigan District Dental Society. The ADSP Committee oversees the program. The current committee consists of Steven Mancewicz DDS, Eric Cao DDS and Matt Gietzen DDS. Every two years, one member will join and exit the committee, ensuring continuity. Volunteer dentists provide personalized treatment planning and deliver dental care in the efficient atmosphere of their practice location. Eligible patients who are accepted into the program agree to attendance and co-pay criteria. Applicants are directed to Cherry Health Services Dental Clinic, who as has agreed to employ the ADSP Dental Coordinator and staff dentists, for initial intake processing and diagnostic collection. Private grants managed by the West Michigan Dental Foundation are used to run the initiative, including lab fees for indirect procedures. This collaborative effort provides approximately 13 dollars of philanthropic dental care for every grant dollar.